RICHARD SOLOMON ARTISTS REPRESENTATIVE: Chris Gall's Portrait of Mark Zuckerberg has a Grecko-Roman Touch. 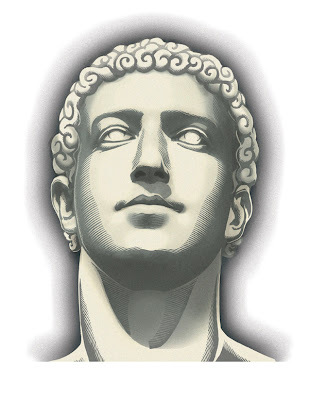 Chris Gall's Portrait of Mark Zuckerberg has a Grecko-Roman Touch. Perhaps it's that curly hair, that thick neck, or that little thing he invented called facebook that elevated Mark Zuckerberg to mingle with the gods on Mt. Olympus, or at least look like it in this portrait by Chris Gall. He was commissioned to create this by our longtime friend and art director, Larry Gendron.